Under the Capitol dome, the House tries ballot trickery. Democrats in the Oregon House must think that voters are basically stupid. Or rather, they are counting on enough of them to be dumb enough to be fooled by the trick they pulled Thursday. The House voted, with Republicans opposed, to rewrite the ballot title of a referendum on granting driving permits to people who can’t prove their legal presence in the United States, which translates to “illegal aliens” or “undocumented immigrants” or whatever term is more politically correct. 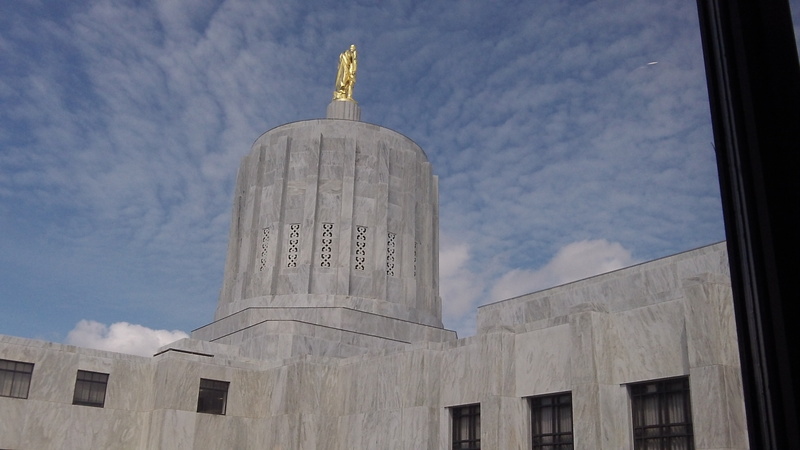 The legislature passed a bill to that effect last year, but opponents gathered enough signatures to block it until the voters as a whole have a chance to decide. That will happen in November. The attorney general’s ballot title for the referendum said the bill “provides Oregon resident ‘driver card’ without requiring proof of legal presence in the United States.” It’s not elegant but factually correct. But the backers of the original bill don’t want casual voters — who know nothing of the controversy until they see the ballot title — to get any clue that this involves illegal immigrants. 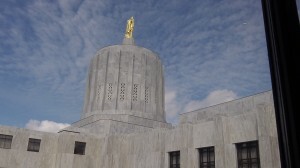 So the House majority voted to have the ballot title to say the bill “establishes limited purpose, duration driver card for individuals who prove Oregon residency, meet driving requirements.” Besides being pidgin English, that title is false. The bill’s main effect is not to provide a driver card to people who prove they live in Oregon and meet “driving requirements.” Everybody who gets a regular driver’s license has to prove he lives in Oregon and meet requirements. Under this bill the only people who would get a “driver card” instead are those who can’t prove they live in Oregon and the United States legally. Allowing established Oregon residents to apply for driving privileges even though they lack legal immigration papers actually is a sound idea. It likely would have many benefits. But House Democrats don’t trust people to agree with the reasoned arguments in favor of such a change. So they resort to tricky language. Mr. Hering, how can you call them”established Oregon residents” when they came into my country illegally in the first place!? Why bother to enforce any law on the books if I persist in doing something illegal until the populace tires of enforcing the law! And why is it a sound idea to give them driving privileges? When your grandchildren have to learn English as a second language taught by Chinese rulers will you then realize there weren’t any benefits. How ‘democratic’ of these Democrats! I have been an Oregon driver for over 30 years. Just last year I had to pay the state of Oregon to provide me with their updated version of my Birth Certificate since the one I used when I first had to prove who I was, was NOT valid. ?? Do I feel it is fair that I have to pay the state of Oregon to reissue a Birth Certificate and once again prove to them who I was and that I was a legal resident?? No, I do not. So, if by Oregon LAW I have to go through all of this to continue to keep my OR Driving rights, then it should be the same for EVERY one else to do the same no matter who they are! If you make laws easier for others then you should do it for all.